Colter is the co-founder, senior writer and Director of Creativity for Skyline Sports. Colter found his passion for sports writing early on and has pursued it enthusiastically since. He’s spent six years writing for newspapers like the Missoulian, the Ellensburg Daily Record and the Bozeman Daily Chronicle. While living in the Evergreen State, Colter earned numerous accolades, including winning the Washington Newspaper Association’s Sportswriter of the Year for 2010. 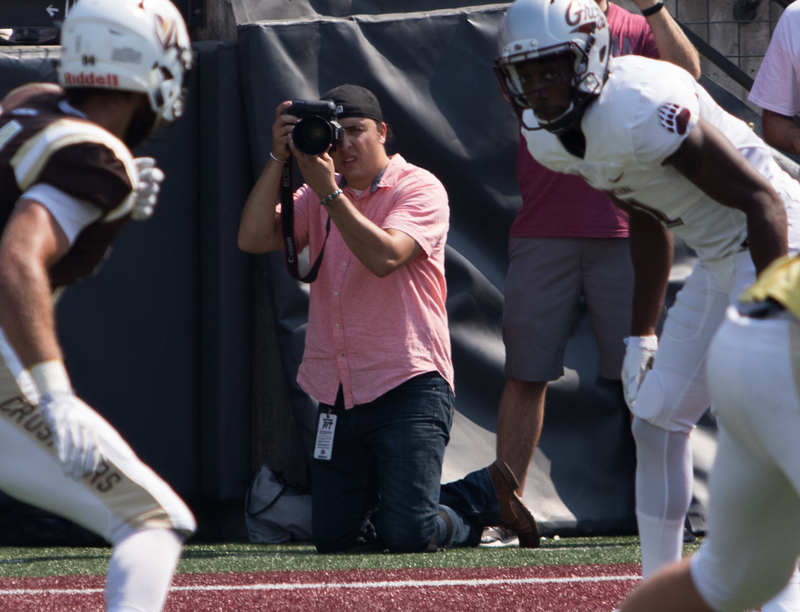 The University of Montana graduate returned to the Treasure State to serve as the sports editor of the Chronicle. Between 2011 and 2013, he earned eight Montana Newspaper Association awards, including “Best Sports Story” and “Best Sports Feature” for Montana’s largest circulation classification. In the midst of the 2012 Montana State football season, Nuanez partnered with Kevin Miller to launch Bobcat Beat, an online news gathering sports website in collaboration with the message board BobcatNation.com. With Brooks’ arrival in Bozeman in August of 2014, the brothers decided to take their passion for Big Sky Conference athletics to the next level with Skyline Sports. 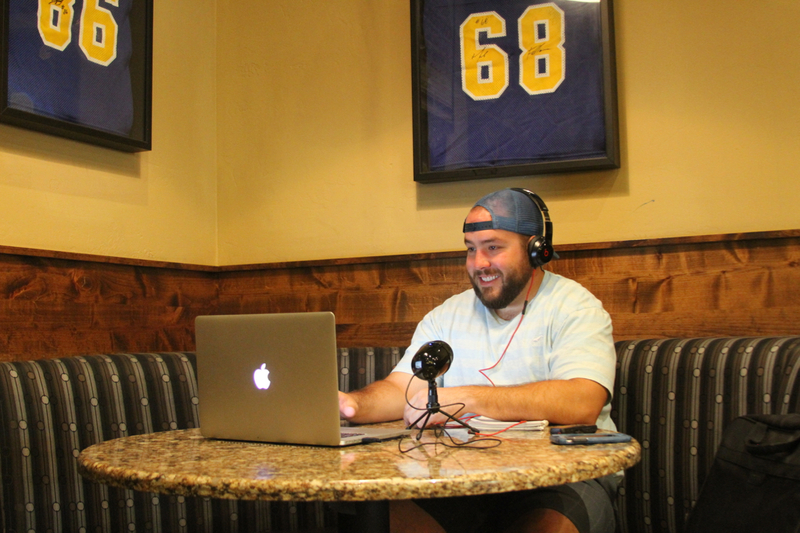 In August of 2017, Colter began working as an advertising executive and on-air talent at Missoula Broadcasting Company, hosting Montana’s only live two-hour daily sports radio show Tootell and Nuanez from 4-6 p.m. Monday-Friday. Colter can be reached at Colter.Nuanez@gmail.com and followed on Twitter @SkylineSportsMT. Brooks is the co-founder, senior photographer and Director of Operations for Skyline Sports. He is a life-long athlete who enjoys the fierce nature of sports as much as he enjoys the sweet harmony of music. Brooks first gained an interest for photography as a boy, a passion that has grown into a craft he now pursues zealously. Brooks has spent most of his life in Montana, instilling a love for the mountains and the wildlife that live within their natural beauty. The University of Montana alum spent parts of three seasons as a safety for the Grizzly football team while earning a degree in business management, honing his passion for craft beer, people and his entrepreneurial spirit. In July of 2015, Brooks married his lifelong love, Kaila. Kaila finished her degree in community health at Montana State in May of 2016. The couple welcomed Ellis Charles Nuanez into the world on September 2, 2016. Ellis is already an avid sports fan. Brooks can be reached at Brooks.Nuanez@gmail.com and followed on Twitter @Brooksnuanez and @SkylineSportsMT.